Wassail-fest is such a great time to spend with family and friends. It began ten years ago as a festival to catch the Holiday Spirit. 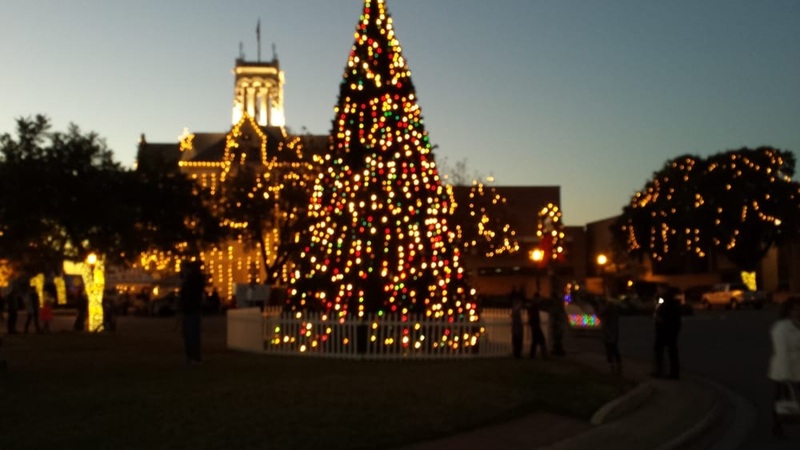 Annually, the Downtown New Braunfels’ merchants open their doors at the holiday season offering wassail to drink, special treats to munch and lots of holiday cheer. There is entertainment is everywhere as talented musical groups perform throughout the downtown area singing, playing, harmonizing on street corners and inside establishments. The Christmas downtown lighting glows are so beautiful with over 100,000 lights and the Plaza becomes a fairytale setting, the centuries-olde Christmas carol “Here We Go A-Wassailing” takes on a new and special meaning. New Braunfels residents, tourists, and anyone interested are welcomed and invited as holiday guests to sample a wide variety of Wassail, a drink whose very name means “. . . to your health”. The juice and spice mixture has been served over the centuries as far back as Robin Hood and his merry men. Over fifty merchants go to great lengths preparing their special wassail, enough to serve several thousand guests. Awards based on people’s choice voting are presented to the top three “wassail-meisters”. Past special events enjoyed at Wassail-fest have included hot air balloon basket medleys, young gymnasts demonstrating their skill and agility, beautiful and haunting Scottish bagpipes, puppet shows, music for the little ones and an automobile collectibles show to fire the imagination of the most devout Christmas grinch. When bell choirs, barbershop quartets, children’s chorales, dancers, mariachis and oompah bands are added, the evening marks a truly joyous occasion. As the bells of the Courthouse ring to call a close to the evening’s festivities, families celebrate the “making of a memory” not soon forgotten. Don't forget the date, December 7, 2017, and don't miss it, it will be a night to remember.